Joyce Carol Oates discusses her latest novel, Hazards of Time Travel, and Mariella Frostrup and guests discuss the life of Kenneth Grahame, author of The Wind in the Willows. 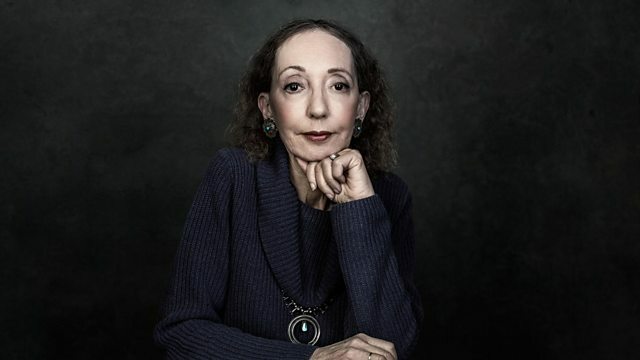 Veteran US novelist Joyce Carol Oates discusses her latest novel Hazards of Time Travel, which imagines a dystopian near future in which the events of 9/11 have triggered a repressive crackdown on individual liberty. Author and journalist Jeremy Seabrook considers the appeal of orphaned characters for writers of fiction. Biographer Matthew Dennison and Professor Emeritus in Children's Literature at Cardiff University Peter Hunt, discuss the life of Wind in the Willows creator Kenneth Grahame. And as part of our series visiting local bookshops, Joey Jones of Southampton's October Books explains how the shop has adapted over its 41 year history and the vital role the local community plays in the shop's survival.